AscendTech - PS2 SCROLL MOUSE Lot of 10 Pieces. 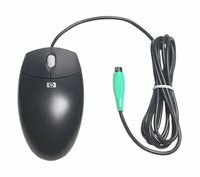 Optical PS/2 Scroll Mouse Black. The optical tracking provides accurate response at 400 dpi. The ergonomic design and 3-button layout will have you working comfortably and efficiently. Suitable for left-handed.